The second release on Funeral Fog Records is a 32 minutes long, black single sided cassette tape made in only 25 hand numbered copies. The title of the release is “Den Yttersta Dagen” swedish for “The Last Day”. This release is dedicated doomsday on 21st December 2012. This day will also be the official release day. To day I find a flattering review of my record “Ljuset Kommer Aldrig Åter”. Read it here. And if you are interested you can buy the record here. On 27th of October I released the first record on my newly started label Funeral Fog Records. 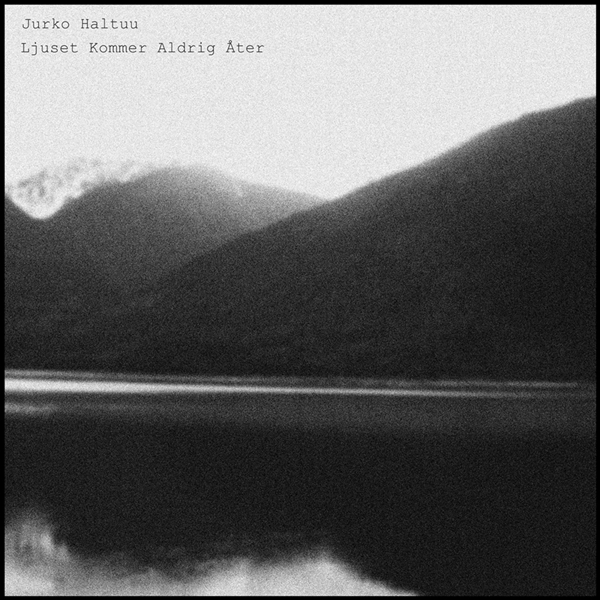 Ljuset Kommer Aldrig Åter is the name of the album and it is produced by me under the psedonum Jurko Haltuu. Ljuset Kommer Aldrig Åter (The Light Will Never Return) is a 44 minutes and 6 seconds long piece of music, composed, looped and processed by me ( Jurko Haltuu). All sounds are based on a 2 minute and 47 seconds long field recording made by my friend Magnus Natt och Dag in his car just outside Halmstad on the Swedish west coast. Sunday 28 August 2011. 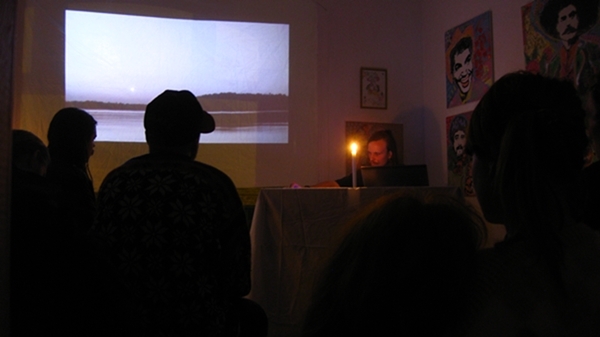 On release day, I made a very intimate gig at the tiny but oh so nice gallery Makeriet driven by some friends of mine here in Malmo. The gig went really well and I am very pleased with how the sound became established in this small room, about 20-25 square meters.